Most of people use smartphones everyday and the charging sometimes can be really annoying in terms of charging cables. If you are an iPhone user, you must know how fragile the charging cable is. 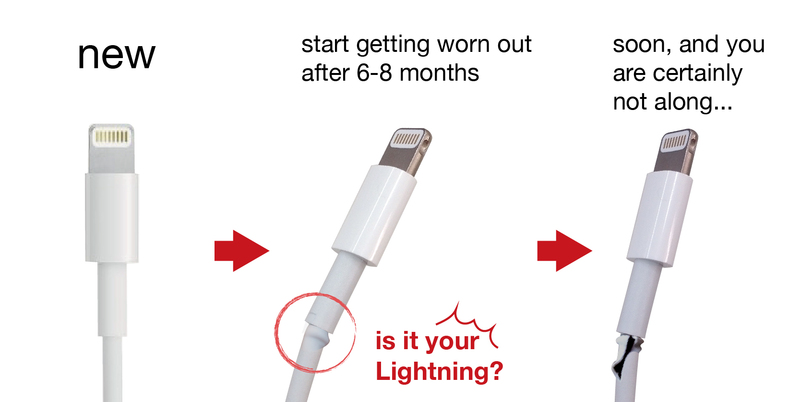 Can you remember how many lightning cables you have purchased so far to keep your iPhone alive? Personally, I have bought more than five cables for years and I have to say the durability of the charging cable is really poor. Having the similar conditions, many iPhone users should be happy as the new iPhone X uses the wireless charging technique and frees the charging from the cables. The wonder of wireless charging is no magic at all. 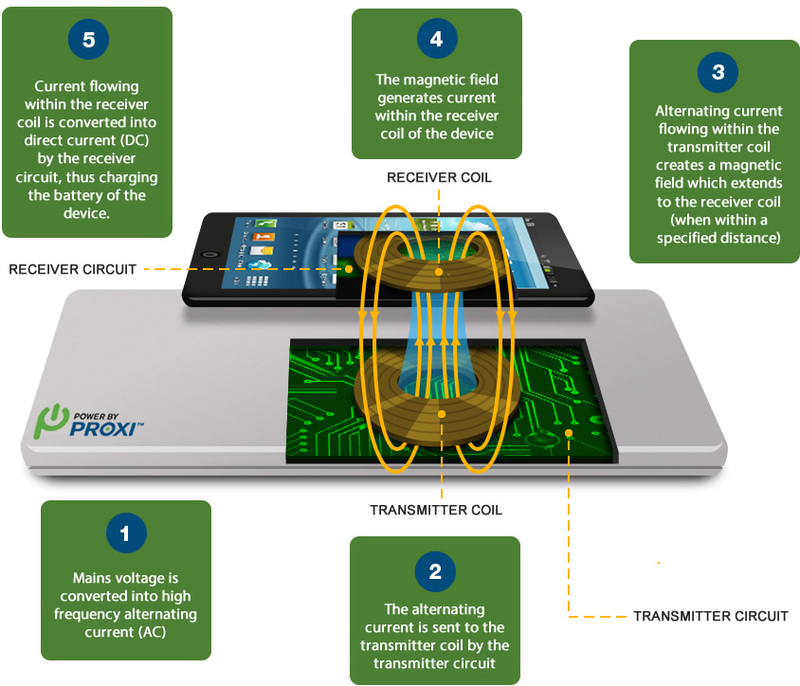 The principle behind wireless charging is just simple physics – Electromagnetic Induction. Just a recap here: the Faraday Law of Induction describes how an electromagnet creates a magnetic field: When an electrified coil of wire is wrapped around a metal rod, the metal magnetizes. Similarly, when a magnet is passed though an unpowered coil of wire, the magnet creates electricity. Based on the underlying physics theory, two coils are embedded in both the charging pad and the smartphone respectively. The one in the charging pad is a transmitter coil and the other embedded in the phone is a receiver coil. The alternating current (AC) is sent to the transmitter coil and generates a time varying magnetic field in the transmitter coil. Then the receiver coil can pick up the magnetic field within a short distance and generates AC within the receiver coil. Finally, the current owing within the receiver coil is converted into direct current (DC) by the receiver circuit, which can then be used to wirelessly charge the battery. The advantage of wireless charging is obvious: you don’t need wire cables. As mentioned earlier, the durability of charging cables is so poor and users need to replace the cable very frequently. Luckily, with wireless charging technique you don’t need to plug and unplug the charging cables each time. Instead, you just place your device on top of your wireless charging pad, which can largely prolong the life of the charging cables by reducing its usage frequency. It seems that wireless charging can free us from charging cables, however, we are still constrained by the distance. Don’t forget the wireless charging technique uses Electromagnetic Induction to charge the battery. And this induction essentially is a kind of Near Field Electromagnetic Induction, which means we need to place our devices on or near the charging pad. If we leave our phones far from the charging pad, wireless charging may not work. This limitation also leads to another issue of wireless charging – efficiency. Compared with the efficiency of cable charging, wireless charging is definitely less efficient since it is an indirect process and thus we can’t avoid the energy loss between the transmitter and the receiver. Therefore, though wireless charging may not meet our expectation at current time it still open more choices for us: you can choose to use the charging cable when you need your battery to be charged quickly or place it on the charging pad when you are not in a hurry. Very cool! Nice post, Vivian! I think it’s important to call out Apple for the planned obsolescence of their cables and accessories. 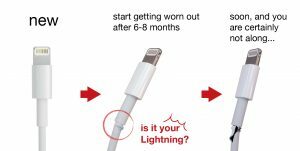 I’m not an iPhone or Mac user, but I know people who have had charging cables that break relatively quickly, and, because they’re proprietary, cost over $100 to replace! At any rate, I hope wireless charging technology becomes more efficient and widespread, if for its convenience alone. Looking forward to this with the new iPhone X, especially when they start making them freely available at airports etc. I once tried to use a charging cable at a Samsung station at an airport before I switched over to the dark side of Apple, but all the cables were broken! Physics is very useful for people’s life. It has always been proved with the passage of time and will be further proved as time goes on.